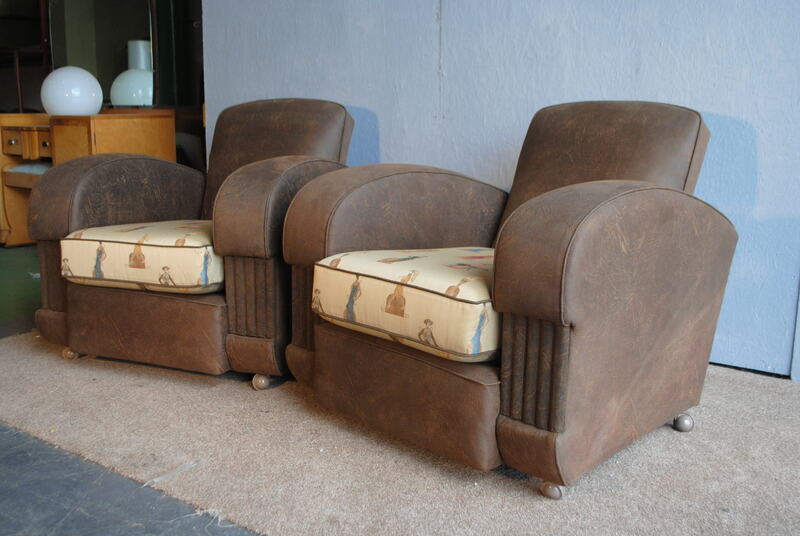 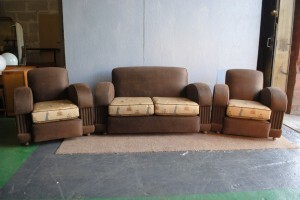 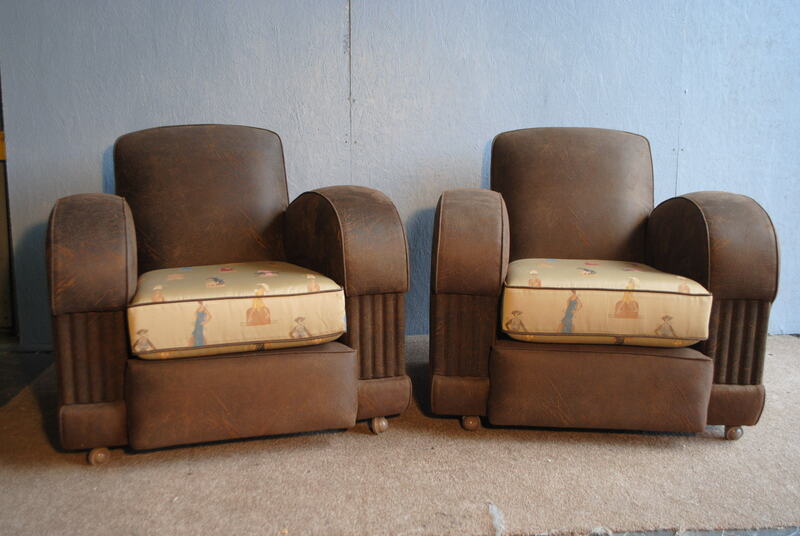 A lovely original art deco 3 piece suite with a 2 seat sofa and 2 armchairs. 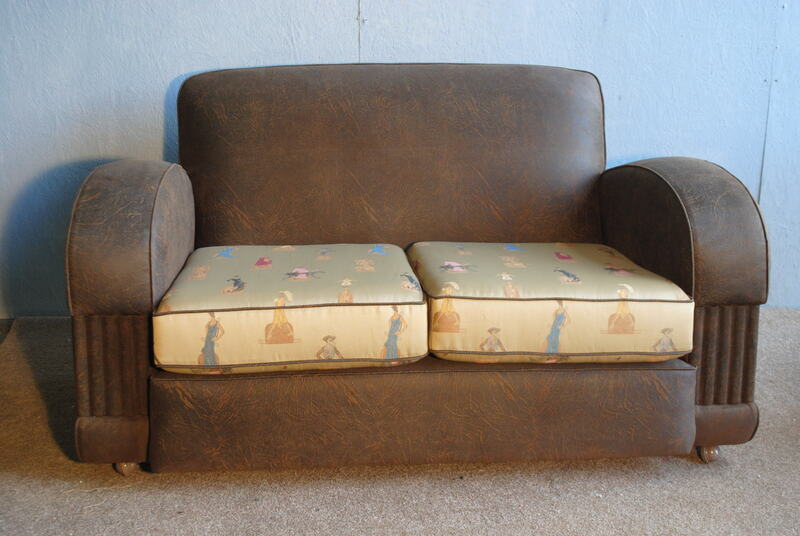 This set has been expertly upholstered from the bare frame upwards having been re sprung. 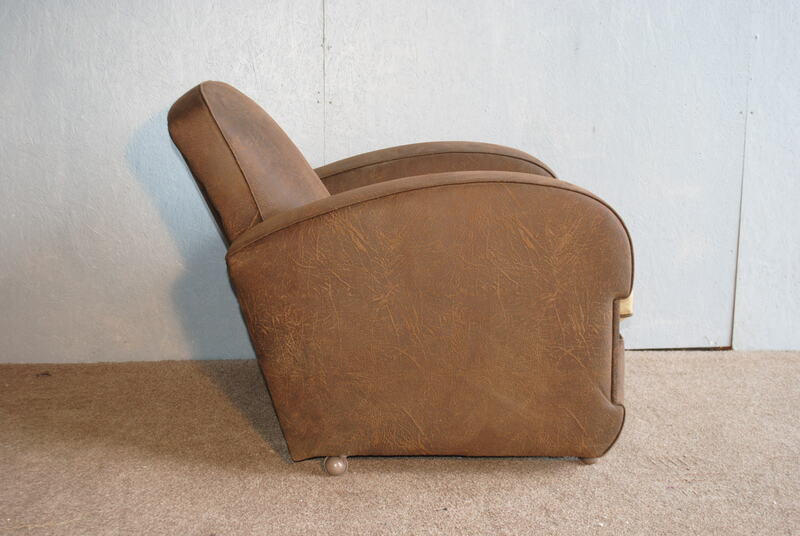 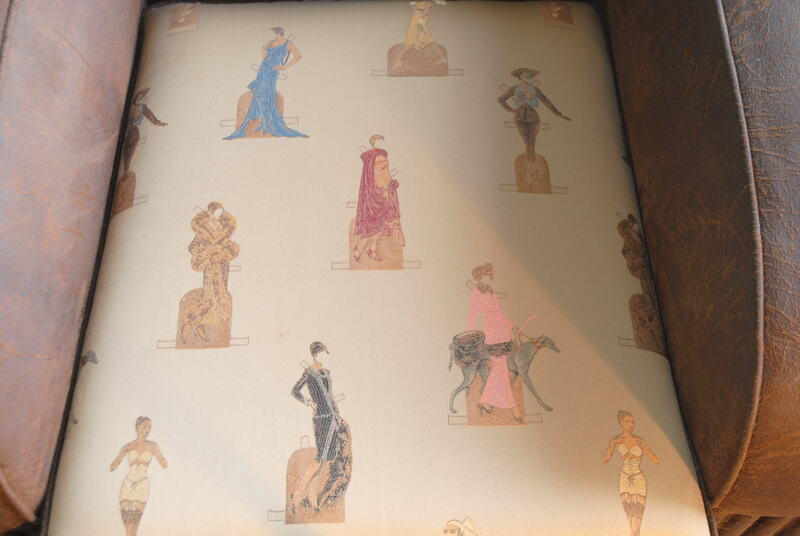 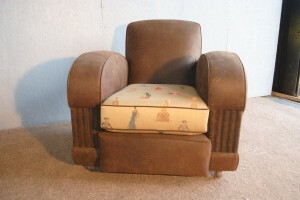 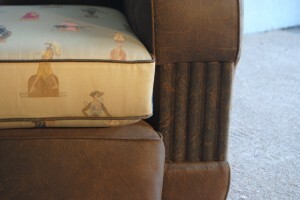 Upholstered in very soft faux brown leather and cream art deco fabric with flapper girl details. 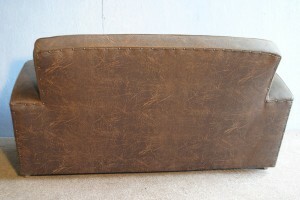 Beautiful and ready to deliver.